(Reuters) – Four of the largest U.S. beef-packing companies were accused in a lawsuit on Tuesday of violating federal antitrust law by conspiring to drive down prices they paid ranchers for cattle, even as retail beef prices hovered near record levels. Tyson Foods Inc, Cargill Inc, the JBS USA unit of Brazil’s JBS SA and National Beef Packing Co were accused of colluding since Jan. 2015 to suppress the price of “fed” cattle, which is cattle raised specifically for beef production, with a goal of improving margins and profitability. The 104-page complaint by the Ranchers Cattlemen Action Legal Fund United Stockgrowers of America (R-CALF) and four cattle-feeding ranchers was filed in Chicago federal court, and seeks compensatory, punitive and triple damages. It resembles litigation in the same court in which companies, including Tyson and JBS, have been accused of conspiring to fix prices of broiler chickens and pork. Tyson said the lawsuit was “baseless,” and that as in the chicken and pork lawsuits there was no merit to the claim it colluded. “Tyson wants its suppliers to succeed,” it added. 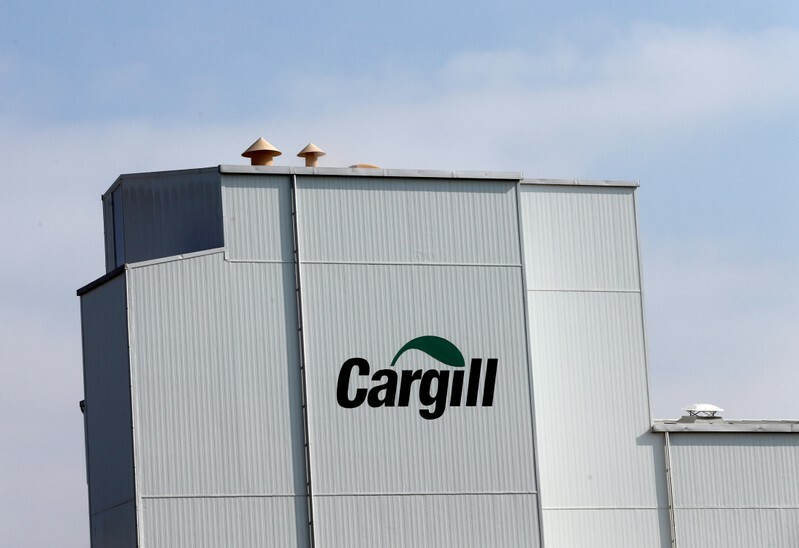 According to the complaint, Tyson, Cargill, JBS and National Beef conspired to suppress prices through such tactics as importing foreign cattle at a loss, closing slaughter plants, and reducing slaughter and purchase volumes. The conspiracy “encouraged an apprehension amongst producers that they might not be able to ‘get their cattle dead’” unless prices were cut, and led to an artificial 7.9 percent average reduction in fed cattle prices, the complaint said. Tyson, Cargill, JBS and National Beef controlled more than 81 percent of the market for U.S. fed cattle in 2017, with more than $48 billion of beef sales in that fiscal year, the complaint said. The case is Ranchers Cattlemen Action Legal Fund United Stockgrowers of America et al v Tyson Foods Inc et al, U.S. District Court, Northern District of Illinois, No. 19-02726. WASHINGTON (Reuters) – A former engineer and a Chinese businessman have been charged with economic espionage and conspiring to steal trade secrets from General Electric Co to benefit China, according to an indictment unsealed by the U.S. Justice Department on Tuesday. 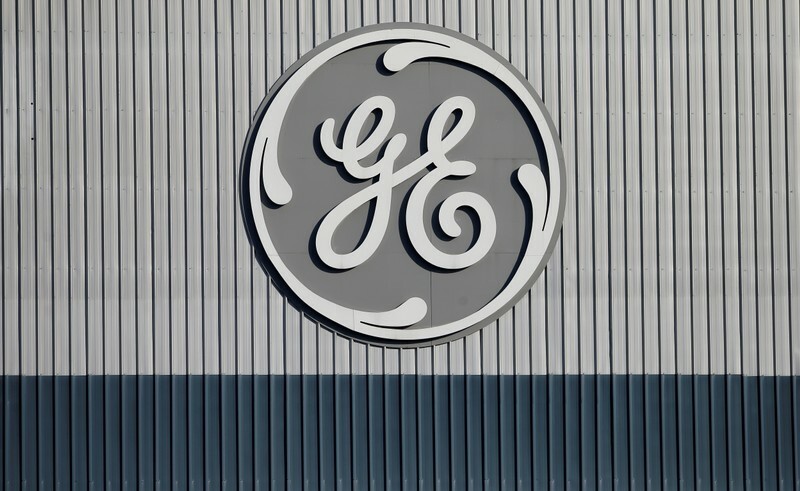 Xiaoqing Zheng, a former engineer at GE, was previously charged by the Justice Department in August in connection with the alleged theft. AMSTERDAM (Reuters) – Shareholders of Dutch bank ING on Tuesday voted against a motion granting executives discharge from legal liability for 2018, the company said, in a rare rebuke for the $900 million fine the company incurred in September for failing to prevent money laundering. The largely symbolic vote means the company could, theoretically, seek to hold managers legally responsible for damages, though such action is unlikely. Institutional investors including the country’s two largest pension fund managers APG and PGGM, plus small shareholders’ association VEB, voted against the motion. 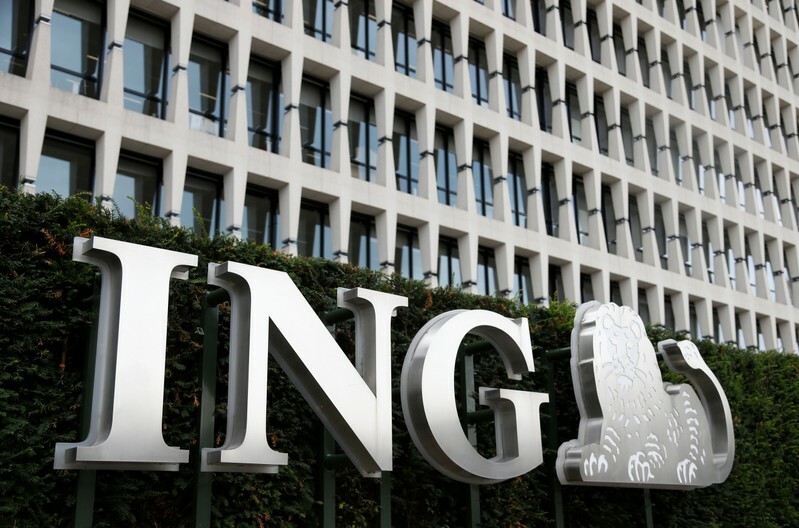 ING has said the investigation and fine, which did not have a major impact on its share price, were properly disclosed. 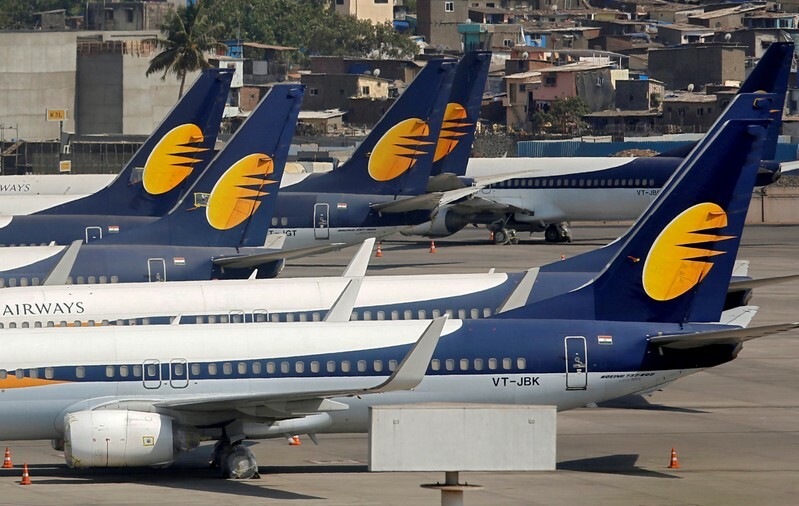 The company said on Tuesday that other motions at the annual meeting had been approved by shareholders. 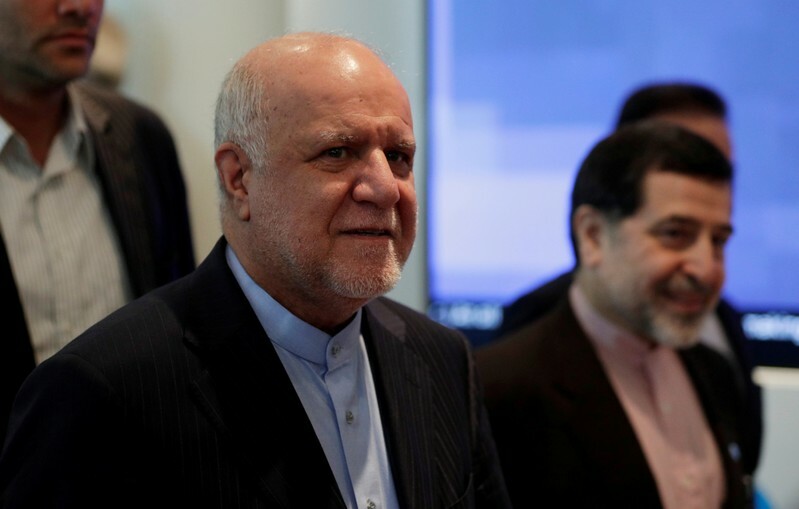 (Reuters) – The United States has made a bad mistake by politicizing oil and using it as a weapon, Iran’s Oil Minister Bijan Zanganeh said in a parliamentary session on Tuesday, the Islamic Republic News Agency (IRNA) reported. Oil prices on Tuesday hit their highest level since November after Washington announced all waivers on imports of sanctions-hit Iranian oil would end next week, pressuring importers to stop buying from Tehran and further tightening global supply. Zanganeh added that the United States will not be able to reduce Iran’s oil exports to zero. “With all our power, we will work toward breaking America’s sanctions,” Zanganeh said in parliament, according to the Iranian Students’ News Agency (ISNA). The White House said after its Iran move it was working with Saudi Arabia and the United Arab Emirates to ensure oil markets were “adequately supplied” but traders worried about tight supplies. He added that the oil market is unpredictable and the announcement by the United States and its regional supporters intended to keep oil prices stable is a sign of their concern, ISNA reported. Separately, Zanganeh said during the parliamentary session that Iran’s daily gas production has grown 30 percent in the past six years, according to IRNA. 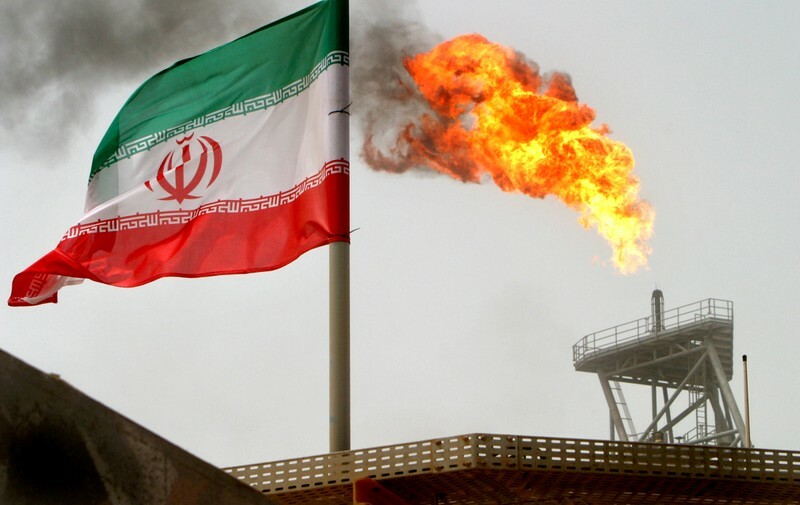 Iran produced a daily average of 620 million cubic meters of gas in the Iranian calendar year which ended in March 2013 and that grew to 850 million cubic meters per day in the year ending in March 2019, he said. 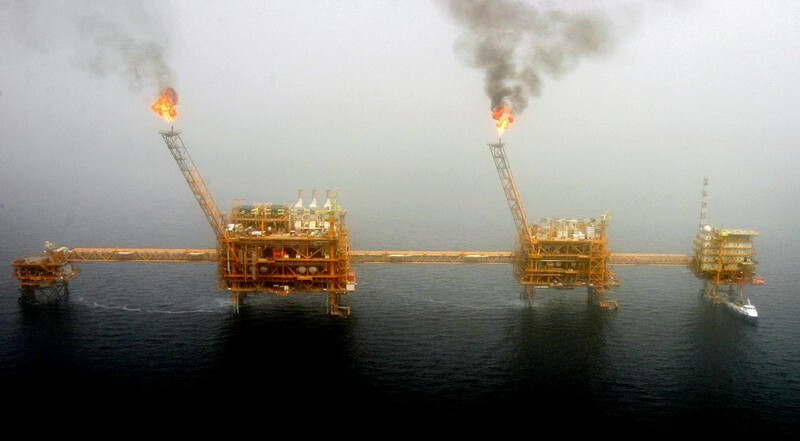 The average daily gas production at South Pars, the world’s largest gas field, was 240 million cubic meters in the Iranian calendar year which ended in March 2013 and grew to 532 million cubic meters in the year ending in March 2019, Zanganeh said. LISBON (Reuters) – The euro zone is worried about the heavily indebted Italian economy’s weak growth and needs Rome to implement its budget plans “with credibility”, the head of the currency bloc’s group of finance ministers said. 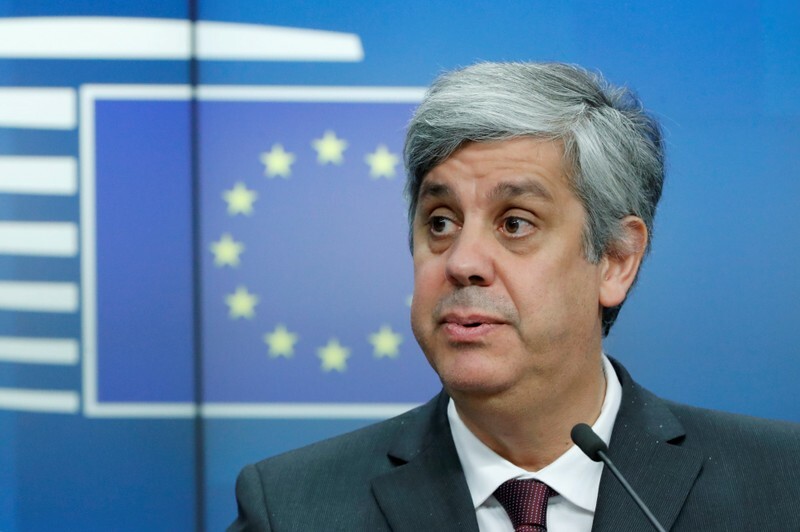 Speaking in an interview with Reuters, Mario Centeno, who leads the Eurogroup of 19 ministers, said it was essential that the euro zone’s third-largest economy returned to growth while meeting its budget targets. “It is a challenge we should never be complacent about and that is why there is worry. That is where the big challenge of the Italian economy is — to grow,” he said. Centeno was speaking late on Monday, on the eve of a Rome cabinet meeting to discuss stimulus measures. That meeting on Tuesday evening is expected to sign off on tax breaks, investment incentives and debt relief for local government. The government, a fractious two-party coalition, downgraded its 2019 growth outlook this month to just 0.2 percent, from a December forecast of 1 percent. Its budget deficit is now set to climb to 2.4 percent of gross domestic product, above a goal of 2.04 percent previously agreed with the European Commission. “Italy is facing some difficulties in this economic cycle,” Centeno said. Italy’s mix of high debt and low growth has shaken investors who have pushed relative yields on sovereign debt to high levels not only against German government bonds, considered the euro zone’s safest, but also above Spanish and Portuguese paper. Centeno is also the finance minister of Portugal, which is often praised as an example in Europe for its combination of budget discipline with economic growth over the past few years. Italy, the euro zone’s second-most indebted nation after Greece, had public debts equaling 132.2 percent of GDP in 2018, up from 131.4 percent in 2017. This year, its economy is again expected to expand less than all its euro-zone peers. Despite the challenges of Italy and broadly slower growth across Europe, Centeno stressed that the euro zone had experienced a record 22 quarters of uninterrupted growth. The budget positions of the euro zone’s 19 members are closer than at any time since 1995, thanks to reforms carried out during the debt crisis, he said. That has resulted in the creation of about 10 million jobs in the euro area since 2013 and brought investment levels close to where they were before the 2009-14 euro debt crisis, he said. “Europe reformed, today the euro zone is more robust and credible than it was five, six years ago,” he said. To further reform the euro area and boost competitiveness, Centeno said a common budgetary instrument would go into effect in 2021 when the EU’s next multi-year budget began. The new tool would set aside existing European funds to support reforms and convergence between economies and to help investments in countries facing temporary economic shocks. A final decision on funding it is likely to be made in October. Centeno has pushed hard for the creation of a common budget for the euro, calling it a longer-term project that would “make the euro area more robust and resilient”. LONDON (Reuters) – Oil prices hit their highest since November on Tuesday after Washington announced the end of all waivers on imports of sanctions-hit Iranian crude, pressuring importers to stop buying from Tehran. Brent crude futures rose as high as $74.70, a level not seen since Nov. 1, before paring their increase as the market gained confidence that global supply would remain robust. By 1355 GMT, Brent futures were at $74.28 a barrel, up 24 cents, or 0.32 percent, from their last close. U.S. West Texas Intermediate crude futures were at $66.19 per barrel, up 64 cents or about 1 percent, having earlier reached their highest since October at $66.31. Despite Washington’s announcement, spare capacity from other suppliers such as Saudi Arabia and possible continued imports of Iranian crude by China could balance the market. “Most people expect that China will continue to import Iranian oil and might even increase imports. They have to make a stand here,” SEB commodities strategist Bjarne Schieldrop said. “Saudi Arabia will be capable of chipping in too to add to global supply,” he added. Before the reimposition of sanctions last year, Iran was the fourth-largest producer among the Organization of the Petroleum Exporting Countries at around 3 million barrels per day (bpd), but April exports have shrunk to below 1 million bpd, according to tanker data and industry sources. China, Iran’s largest customer with imports of about 585,400 bpd of crude oil last year, formally complained to Washington over the move, which a Chinese foreign ministry spokesman said “will contribute to volatility in the Middle East and in the international energy market”. U.S. President Donald Trump is confident that Saudi Arabia and the United Arab Emirates will fulfill their pledges to make up the difference in oil markets, a U.S. official told reporters. Saudi Energy Minister Khalid al-Falih said on Monday that his country would “coordinate with fellow oil producers to ensure adequate supplies are available to consumers while ensuring the global oil market does not go out of balance”. Saudi Arabia is the world’s top oil exporter and de facto leader of OPEC, which has led global supply cuts since the start of the year aimed at propping up crude prices. The group is set to meet in June to discuss output policy. Barclays bank said in a note that the U.S. decision took many market participants by surprise and would “lead to a significant tightening of oil markets”. The move to increase pressure on Iran came amid other sanctions Washington has placed on Venezuela’s oil exports and as combat threatens to disrupt Libya’s exports. WASHINGTON (Reuters) – U.S. Vice President Mike Pence is set to visit southeast Michigan on Wednesday to make the case that the North American trade deal intended to replace NAFTA would boost the auto industry, industry officials said. 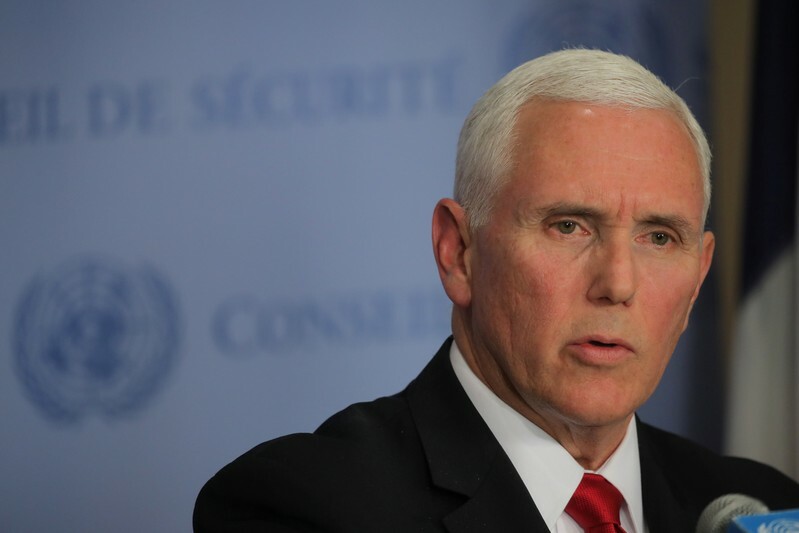 Pence will speak at an event with automakers and auto suppliers in Taylor, Michigan and is expected to tour a Ford Motor Co truck plant in Dearborn as the administration works to convince Congress to ratify the new trade deal, the United States-Mexico-Canada Agreement (USMCA). The U.S. International Trade Commission (ITC) on Thursday estimated that under the deal U.S. auto industry employment would rise by 30,000 jobs for parts and engine production, but that the number of U.S. vehicle assembly jobs would decline. U.S. vehicle prices would rise up to 1.6 percent, causing consumption to fall by 140,000 units per year, or about 1.25 percent of 2017 sales, the report said. The Trump administration and U.S. automakers, disputed the ITC report, saying instead that the new trade deal will create 76,000 automotive sector jobs within five years as automakers invest some $34 billion in new plants to comply with the pact’s new regional content rules. The White House did not immediately comment on Pence’s trip. (Reuters) – European shares fell on Tuesday as battery maker Umicore kicked off a busy week of earnings with a grim outlook and investors grew concerned about China cutting additional support to its economy, but a rally in oil and gas stocks helped temper losses. 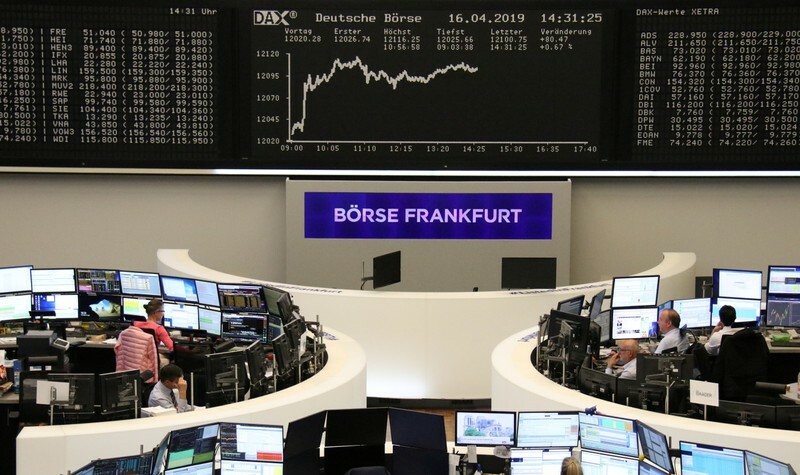 The pan-European STOXX 600 index fell 0.3 percent by 0930 GMT after seven straight sessions of gains, with all major indices in the red except oil major-heavy London’s FTSE 100 which rose 0.4 percent. Earnings started to roll in on a not-so-positive note with Umicore tumbling 16 percent, after the Belgian group warned revenue and earnings growth in 2020 will be lower than previous indications due to delays in the electric vehicle and energy storage markets. Umicore’s slide weighed heavily on Belgium’s blue chip Bel 20 Index, pulling it 1.5 percent lower. Car part suppliers Plastic Omnium and Faurecia also reported first quarter results. Plastic Omnium slid after warning of a decline in worldwide auto production, but Faurecia rose 1.5 percent after the company met its full-year target. Belgium’s Melexis, which supplies semiconductor solutions for cars, slipped 6 percent after first quarter net income tumbled. “We’re pausing for breadth ahead of a fairly busy week of earnings after a decent winning streak,” said Jasper Lawler, head of research at London Capital Group in London. The banking index eased from six-month highs with major European banks as UBS, Credit Suisse and Barclays slated to report earnings late this week after last week’s mixed bag of results from big Wall Street banks. “We’ve seen the likes of record profits from J.P. Morgan but nothing close in Europe. The numbers aren’t going to be great,” said Lawler. Earnings numbers from some of the biggest S&P 500 companies, including Boeing Co, Amazon.com Inc and Facebook Inc, are also due this week. Payments company Wirecard was among the biggest decliners after Germany’s markets regulator Bafin’s two-month ban on short-selling ended on Friday. Ahold Delhaize slid after the Dutch supermarket warned that a strike at its Stop & Shop chain in U.S. would hurt its underlying 2019 profit margin, as it missed out on around $200 million on Easter week sales. Renault fell 1.4 percent after Nissan Motor Co Ltd said it would reject a management integration proposal from its French partner and called for an equal capital relationship, according to a Nikkei report. Also weighing on sentiment was Beijing’s indication to tone down its stimulus measures following unexpected signs of recovery from first-quarter economic data last week. The oil and gas sector was among the lone bright spots with Royal Dutch Shell, British Petroleum and Total, up between 1.7 percent and 2 percent. Oil prices were at 2019 highs on Tuesday after Washington announced all Iran sanction waivers would end by May, pressuring importers, mostly Asian, to stop buying from Tehran. Surging oil prices, however, took a toll on airline stocks. Air France, EasyJet plc, Lufthansa and Ryanair , all shed between 2 percent and 4 percent. Getinge was the top performer on the STOXX 600 after the Swedish medical technology company beat first quarter sales estimates and said restructuring measures will boost profit in the second half of the year. Thomas Cook jumped 14 percent after a Sky News report that the world’s oldest tour operator was tentatively approached by several parties regarding a takeover of its tour operating division or the entire company.